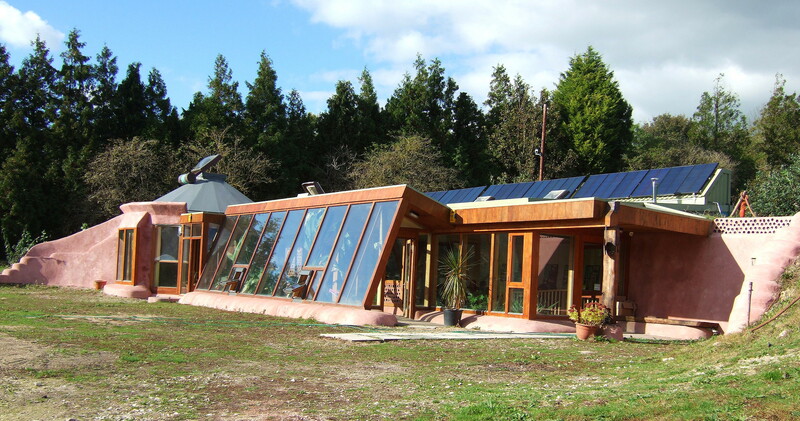 Earthships use recycled and locally derived materials to make their fabric low carbon. Concerns over the climatic effects of increasing anthropogenic CO2 emissions have pressured many industries into making positive environmental changes. The construction industry is no exception despite a suggestion that the industry is ‘behind the times’ with technological emissions reduction strategies (Cabinet Office, 2011). Construction is responsible for approximately 50% of global greenhouse gas emissions when taking into consideration all supply chain inputs (Asif at al., 2007; Ramesh et al., 2011). In view of this, it is becoming essential for the industry to take heed of the emissions problem and deal with it head on, in line with inevitable future legislation (Jervis et al., 2014). This is perhaps one of the biggest challenges to face the industry in recent times, particularly as the latest sustainability report shows further increases in CO2 emissions (Mineral Products Association, 2014). The concept of Life cycle analysis (LCA) is no stranger to the construction industry. Used primarily as a life cycle costing tool in the past, its current criticality in the emissions agenda has amplified its usefulness (Jervis et al., 2014). 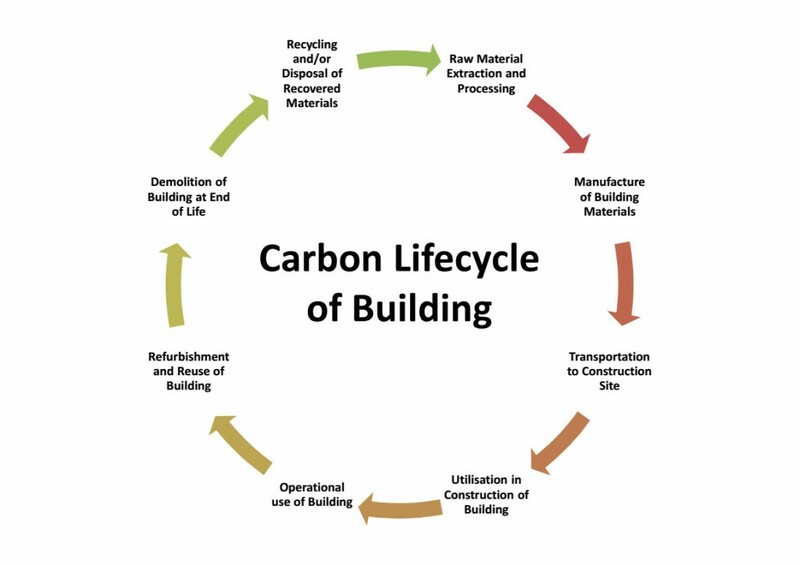 The introduction of lifecycle analysis for carbon emissions at first glance seems like an easy transition, assessing the emissions cost of a building from the extraction of the raw materials through to demolition and beyond via transactions. Methods for assessing carbon outputs via material purchases theoretically assist the calculation of all direct and indirect inputs. Sounds simple, however, research literature has shown that the outcomes of LCA assessments are far from satisfactory. They are plagued by inaccuracies, scope and boundary issues, methodological discrepancies and a market saturation of firm focused products. These difficulties make it impossible for construction companies to choose the right system, resulting in deplorable uptake rates for LCA software. The core failing of these products is that much of the current software for emissions analysis is overwhelmingly directed towards the firm using it. These systems completely disregard supply chain inputs, which ties companies to their individual silos. External supply chain carbon inputs can be crucial for the success of low carbon strategies in the construction industry, so their removal from the analysis could have significant effects on results. The question is how we can solve this complex problem and additionally encourage the industry to take up a new working system or strategy, in an apparently saturated market which is suffering from low product demand. The research taking place between Phlorum and the University of Liverpool has shown that supply chain integration is the cornerstone for the successful implementation of low carbon decision making strategy. By expanding the responsibility for CO2 calculation across the supply chain, sustainability analysis will be a pre-requisite for all projects, enforcing conformity in carbon data and the sharing of it. Essentially this strategy would engage supply chain actors, and empower them to make informed low carbon decisions, whilst simultaneously having more influence over the key decision maker – the client. Despite perceived advantages of a human centred approach to the emissions problem, the notion of collaborative supply chains for low carbon decision making is undeveloped and under researched. The industry continues to favour technological solutions neglecting the human equation. Given the technological failures this selection of blogs will present my research findings in the human centred solutions to the construction emissions challenge.